This photograph shows the J.W. Ranch, owned by J.B Porter, in Morton County, Kansas. 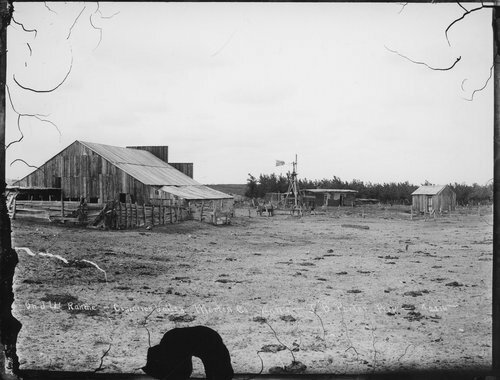 Located to the left side of the photo is a barn and possibly a stable connected to it. In the center of the photo there is a windmill, a possible residence, and two wagons. On the right side of the photo is a small building, possibly a shed.